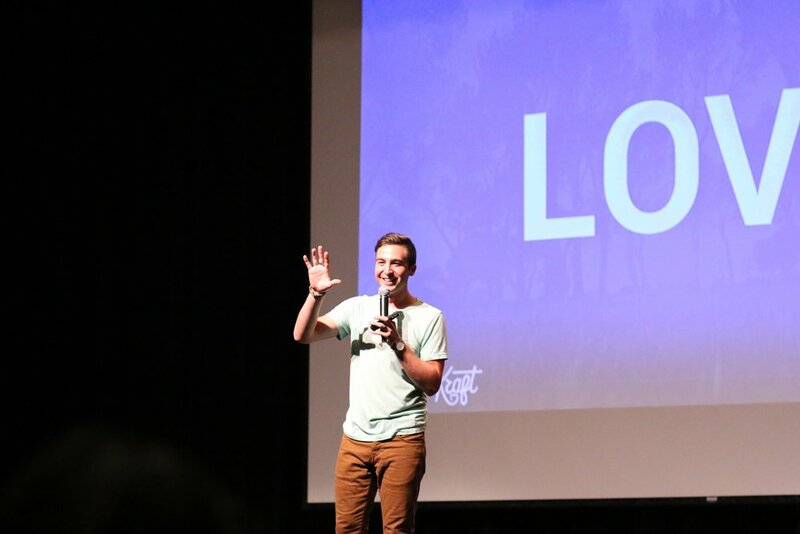 HOUSTON KRAFT DOESN'T JUST GIVE SPEECHES - HE CREATES OPPORTUNITIES FOR CHANGE. A natural to the stage, Houston has a background in leadership, facilitation, experiential education, theater, and improv. He loves connecting with people on and off the microphone through real conversations and relevant programs of all shapes and sizes. No cheesy one-liners or acronyms - Houston believes in telling simple, genuine stories that relate with people of all ages. Interested In Booking Houston? Click Here! Most importantly, Houston isn’t just a speaker - he is a creator and a do-er. He is constantly developing tools and resources to help make his message last more than just a few days. He knows that a message or an inspirational story may create positive feelings that temporarily shift a culture - but we all need reminders and tools to PRACTICE making ourselves and our community the best place it can be. 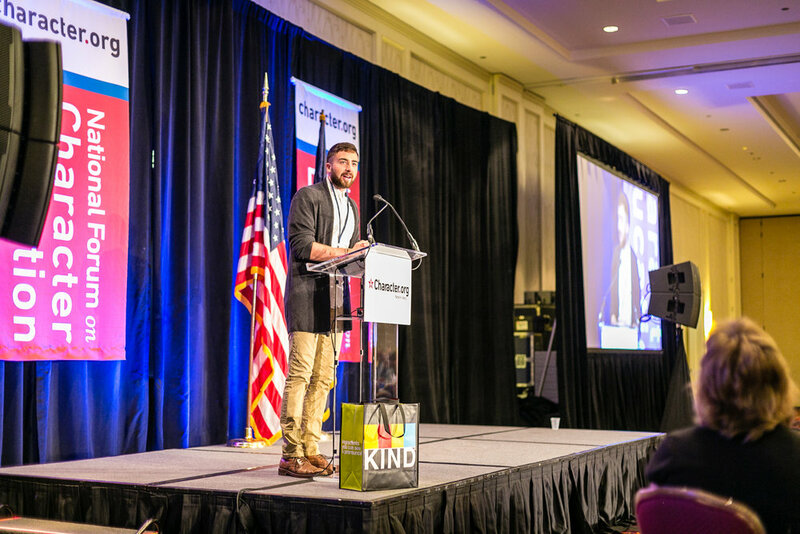 Houston doesn’t just talk about Kindness - he creates it in his communities and works to be an advocate nationwide. It’s more than just motivation - Houston is about creating real, sustainable change. After being in over 500 schools all around North America, Houston has discovered some simple practices that great schools and great educators do intentionally to shape their classrooms and campus culture. 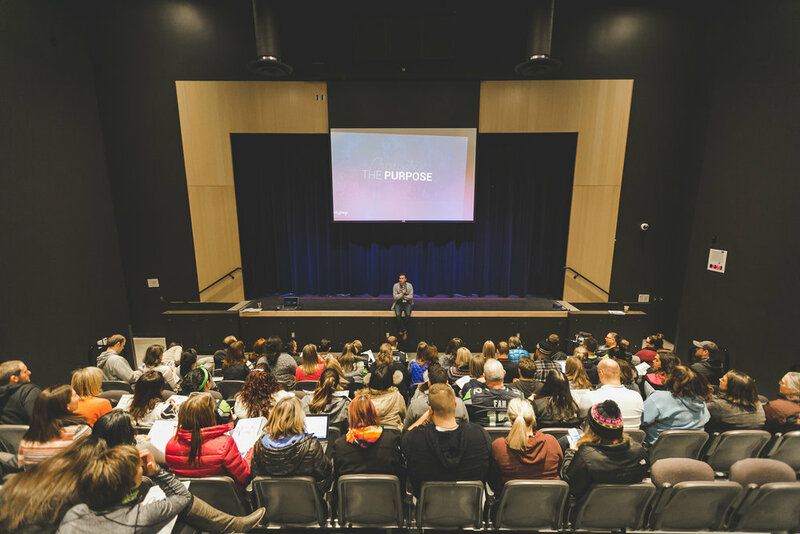 Powerful stories of hope, moments of full audience engagement, and tons of practical tools to take back and put to use IMMEDIATELY in your role - this presentation is designed to empower every educator who believes in compassion to teach it even more effectively every day to every student. A simple model that any school can use to build purposeful communities filled with students and staff of integrity, enthusiasm, and character. If you are looking for powerful tools to strengthen current practices (PBIS, MTSS plans) or looking for a foundation from which to build, this workshop is designed to take you from start to finish with some of the best, research-backed practices available today. 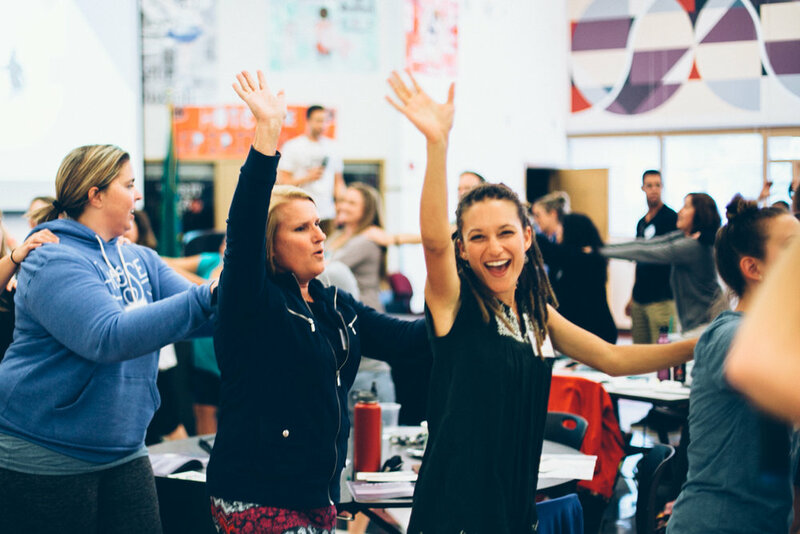 Houston and John Norlin have teamed up to develop a 1-Day and 2-Day training for any educator to walk away feeling equipped and inspired to effectively create deep, lasting change in their classroom, school, or district. With experience in over 700 schools internationally between the two of them, these trainings are packed with cutting edge research, tools, conversations, and experiential activities available. It is a training you don’t want to miss. 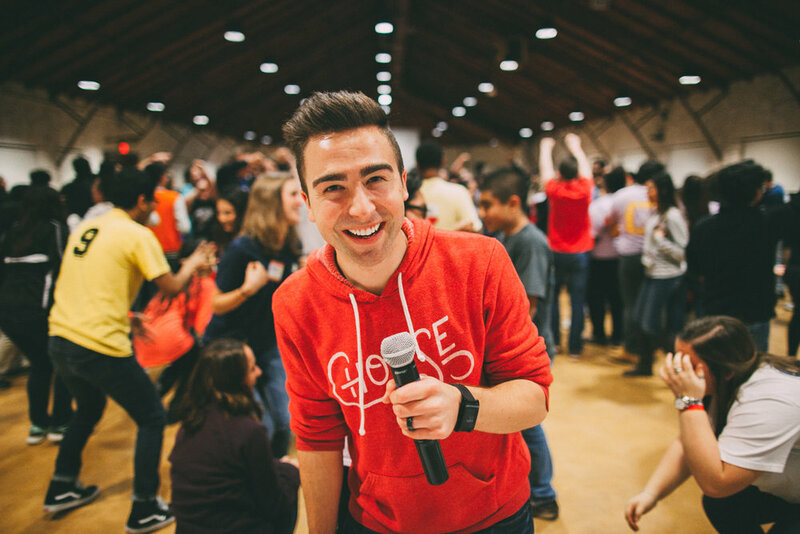 Perfect for student leadership (ASB, StuCo) groups, CTSO organizations, or any group that is bringing passionate students together to make their lives or this world better. Being a leader, in any area of our life, is about building meaningful relationships with the people around you. How do we become more effective in our relationships? How do we cultivate our capacity for kindness and compassion? Let’s clarify what it means to practice Love in a world that is desperate for more of it. Anytime Houston works at a conference, he always likes the opportunity to follow up and deepen the message. Sometimes that looks like a 45 minute, fast-paced, experiential breakout session. Other times, it is a 90 minute, more thoughtful exploration of the conference theme to provide tangible tools to take home. Either way, attendees will walk away with long-term plans to sustain the message. Why don’t we show up to our school everyday looking for opportunities to take care of each other? Why is it that people come to our campus every day and feel unimportant, unnoticed, or invisible? Why can we so cruel to each other? One of the most under-talked about things in our life is fear and the role it plays in shaping the way we treat ourselves or other people. Sometimes, fear protects us. Other times, it prevents us from connecting with each other. And, far too often, it disconnects us from compassion and causes us to say or do some really hurtful things. Fear is a really powerful feeling, but just because we FEEL afraid doesn’t mean we have to live our lives SCARED. Fear is a feeling, but Kindness and is a choice - a choice we are capable of making even when we are uncomfortable, terrified, or hurt. And, sometimes, all it takes is one powerful, kind, courageous choice to change an entire community. Houston loves working with a small group of people from the school to provide practical next steps and an unforgettable experience to take the message well beyond good feelings and positive intentions. 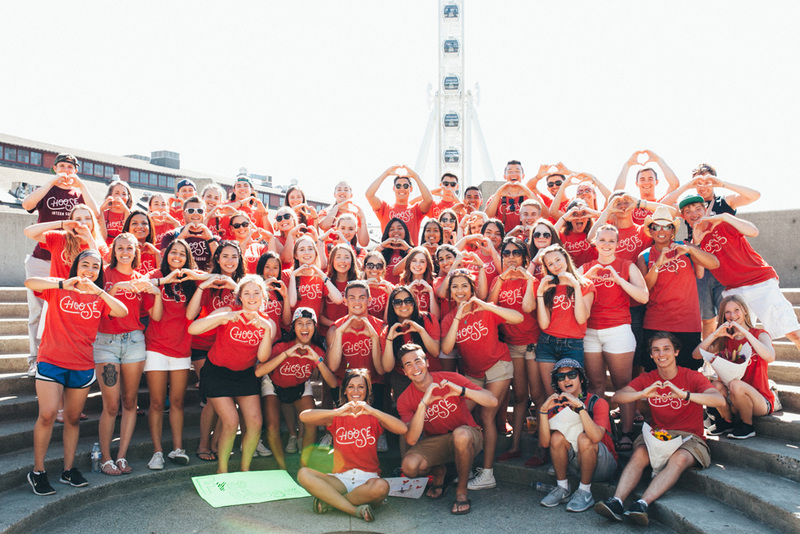 In order to maximize the message, Houston will empower a group of advocates on campus to hit the ground running and bring Kindness to life, daily. "Triangle of Trust Leadership Training"
The most successful teachers, students, and leaders are the ones who people TRUST. We build trust by being consistent in our everyday, small actions. Real change happens when we build our character. It’s easy to be a “popular” leader - it’s much harder to be a person who changes the culture around them by doing “unpopular” things. When we work hard to practice consistent, intentional acts of kindness, compassion, empathy, and love, then we not only make ourselves better people, but we enrich the community that we are practicing in. Building meaningful relationships and influence with the people around you is at the core of what it means to be a leader and someone worth Trusting.